Make yourself at home in one of the 42 air-conditioned rooms featuring refrigerators and microwaves. Complimentary wireless Internet access keeps you connected, and cable programming is available for your entertainment. Bathrooms have shower/tub combinations and complimentary toiletries. Housekeeping is provided daily, and both cribs/infant beds (complimentary) and rollaway/extra beds (surcharge) are available on request. A complimentary hot/cold buffet breakfast is served on weekdays from 6 AM to 9 AM and on weekends from 6 AM to 10 AM. Make yourself at home in one of the 61 air-conditioned rooms featuring refrigerators and LCD televisions. Complimentary wireless Internet access keeps you connected, and cable programming is available for your entertainment. Private bathrooms with bathtubs feature complimentary toiletries and hair dryers. Conveniences include desks and complimentary newspapers, and you can also request cribs/infant beds. 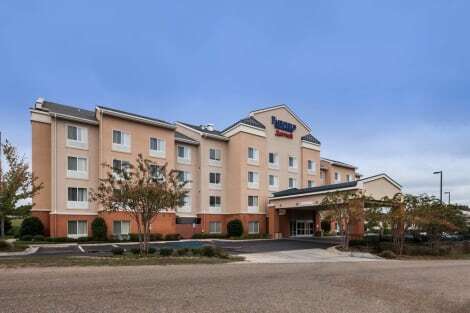 Located in Ruston, Quality Inn is a 4-minute drive from Louisiana Military Museum and 5 minutes from Lincoln Parish Park. 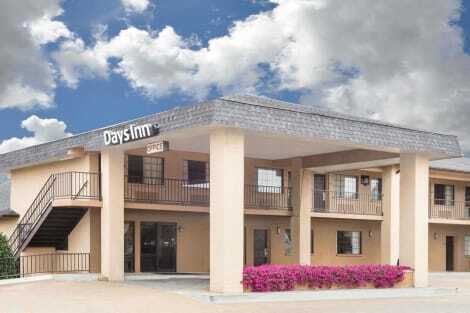 This hotel is 2 mi (3.2 km) from Railroad Park and 2.6 mi (4.2 km) from Northern Louisiana Medical Center. Don't miss out on recreational opportunities including a 24-hour fitness center and a seasonal outdoor pool.